Sunday Photo and a Spooktastic September! 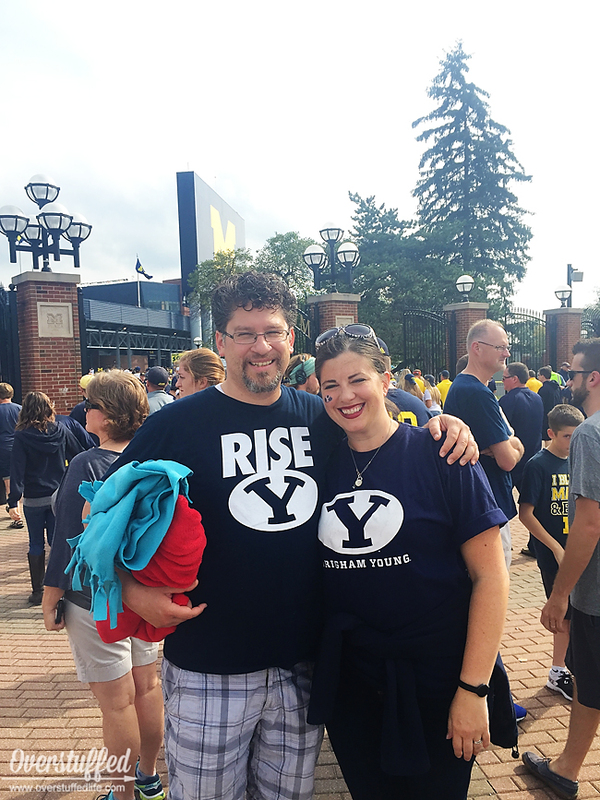 This past weekend we took a road trip down to Ann Arbor to see our alma mater (BYU) play the University of Michigan. 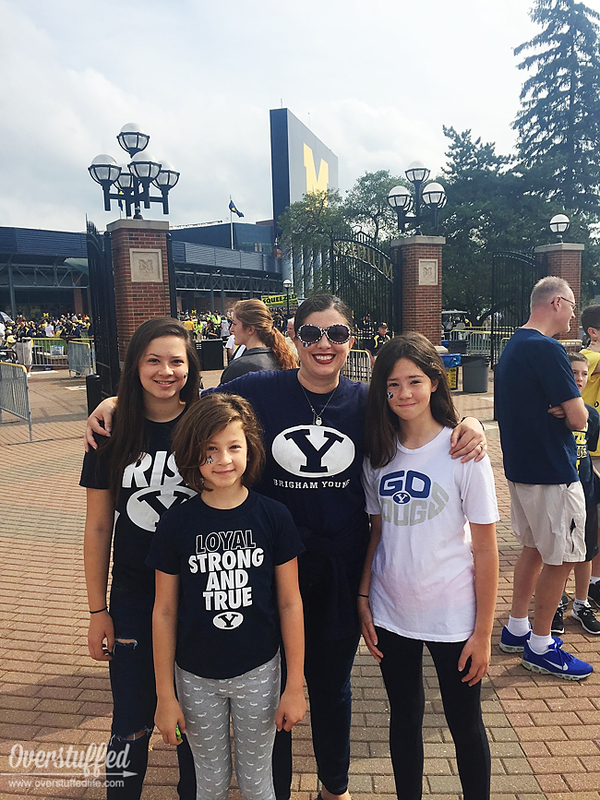 While the game was disappointing—okay, it was more than disappointing—we had so much fun being with family in that stadium and watching good football. Even though it wasn't our team that was actually playing the good football! My dad and two of my brothers came out to watch, too, so that made it even better. Our Sunday was spent driving the ten hours back home to the UP. 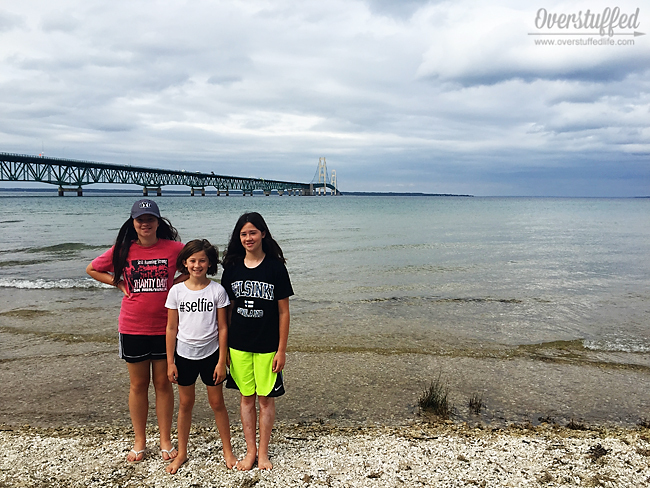 We stopped to eat in Mackinaw City and walked around the bridge park for a while. So beautiful. So that's my September Sunday photo of the girls. In other news this week, I made a Halloween wreath! The other day I sat in front of the TV and made my very first Halloween decoration of the year. I love making tulle wreaths for Halloween, so that is what I made and I LOVE how it turned out! 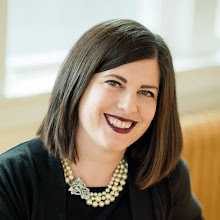 If you want to actually see what I made with all of the above supplies, you'll have to head over to visit my friend Heidi's blog at One Creative Mommy, because I'm posting over there for her Spooktastic September celebration. 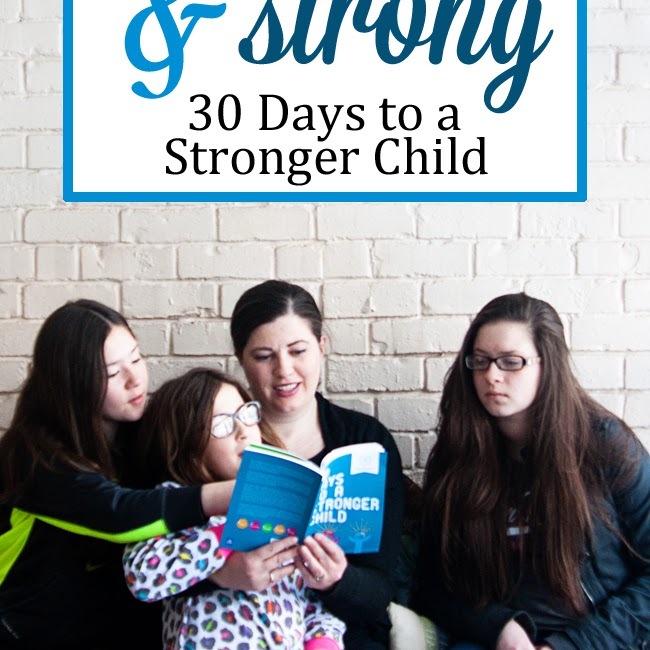 If you haven't read Heidi's blog before, I'm pretty sure you'll love it. 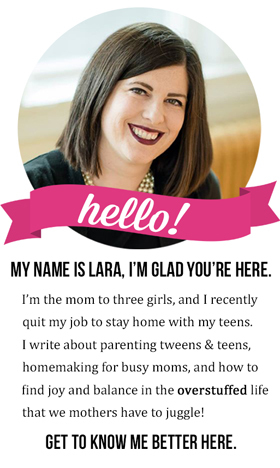 She's a bit of a kindred blogger: She has three daughters, she is a gluten-free blogger, and she posts about many of the same topics and crafty things that I do. I get a lot of inspiration from her, and I know you will, too. 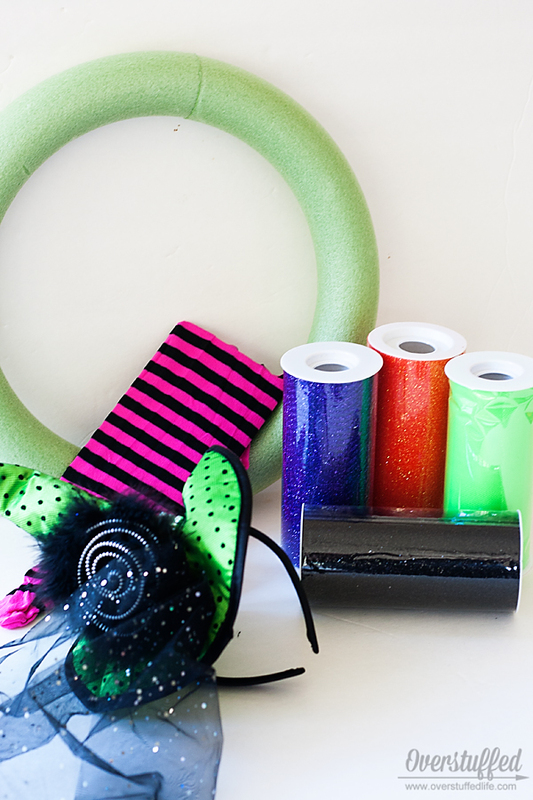 So head over to see my fun Halloween wreath and the rest of her Spooktastic ideas right now!